1. What Is Gravity Forms? 2. Why Gravity Forms eCommerce? 11.6 Event based ticket sales and registration. Gravity Forms is by far the most powerful forms addon for WordPress. As such, it comes as no surprise that it can serve as a basic eCommerce solution as well. In this comprehensive guide we will go over how you can use Gravity Forms for eCommerce, a variety of standard and third party addons that will allow you to amplify your eCommerce store and a number of additional resources for specific eCommerce related functionality. Let’s get started! 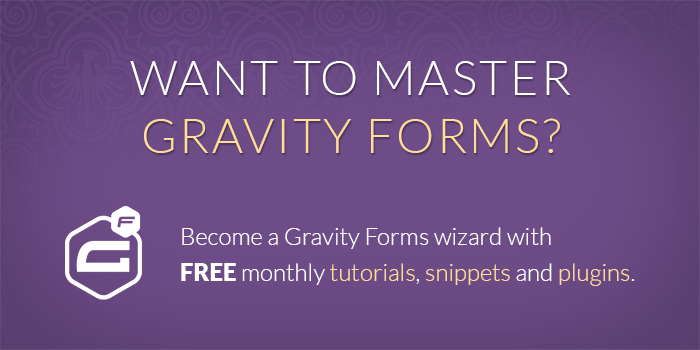 Gravity Forms is a paid WordPress addon that provides a powerful forms integration with WordPress and allows for the creation of complex forms combined with the power of a simple drag and drop editor. While there are many other free and paid form addons out there, Gravity Forms is by far the most powerful and thus warrants the cost. The saying, “You get what you pay for” comes to mind. What you can do with this plugin is simply astounding and continues to blow us away at Gravity Wiz, and that’s saying a lot because we work with Gravity Forms all the time! Gravity Forms can be purchased at gravityforms.com and is required to implement the functionality highlighted in this article on your website. So we’ll first say that Gravity Forms is not meant to be a replacement for a full shopping cart solution such as WooCommerce, however, it can certainly provide basic to intermediate level eCommerce functionality if you find that a full shopping cart addon is going to be overkill for your project. It all depends on the specific scope of the project. Gravity Forms Limit Choices is a paid addon for managing choice-based inventory. This addon provides the ability to limit per choice on your multi-choice field (e.g. Radio Buttons, Checkboxes, Drop Downs, etc). It works with Product and Option fields with these input types as well. Gravity Forms Better Inventory, a snippet solution that provides an easy method for setting up simple, one-off inventory limits on a per field basis. When it comes to order creation and tracking a full eCommerce cart solution is probably going to give you a more comprehensive system, however, Gravity Forms supports tracking the payment status of an entry and fire feed based add-ons only when the payment is completed. Gravity Forms provides addons for Authorize.net, PayPal & Stripe. Regardless of which option you use, you will find the API settings for the payment processor in the Gravity Forms General Settings Area. Setting up any of the payment processor options is fairly easy and typically just requires an API key pair and setting up a webhook URL in the payment gateway account. We cover all of this in more detail in the payments section of this article. Here are some simple tutorials that allow you make some common improvements to the default currency setup with Gravity Forms. Now that we have the settings covered, let’s move into the Gravity Forms pricing fields. This is where the power of using Gravity Forms as an eCommerce solution really starts to shine! The graphic above highlights the relationship between the Gravity Forms pricing fields. Looking for Checkbox Products? The following article details a method for setting up Checkbox Products with Gravity Forms. Need a way to determine the price of a product conditionally? The Gravity Forms Conditional Pricing addon allows you to create flexible and powerful pricing levels for your Gravity Form Product fields. The Gravity Forms Price Range addon provides a way to specify minimum and maximum price ranges when using the User Defined Price product type. 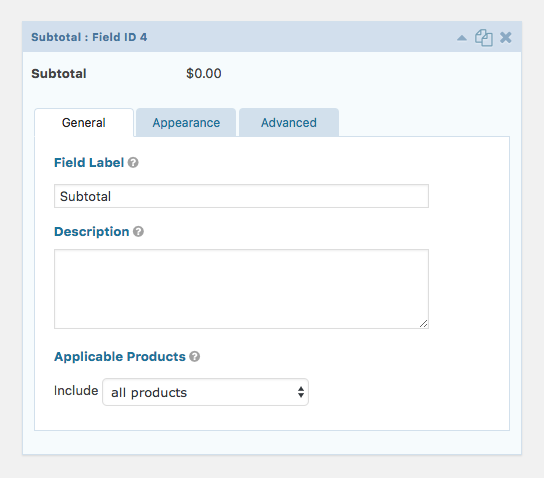 The Single Product Field type comes with a built-in quantity input. This can be disabled via the “Disable quantity field” field setting which will default the quantity of this product to one. Other product types do not have a built-in quantity input and will default to a quantity of one. 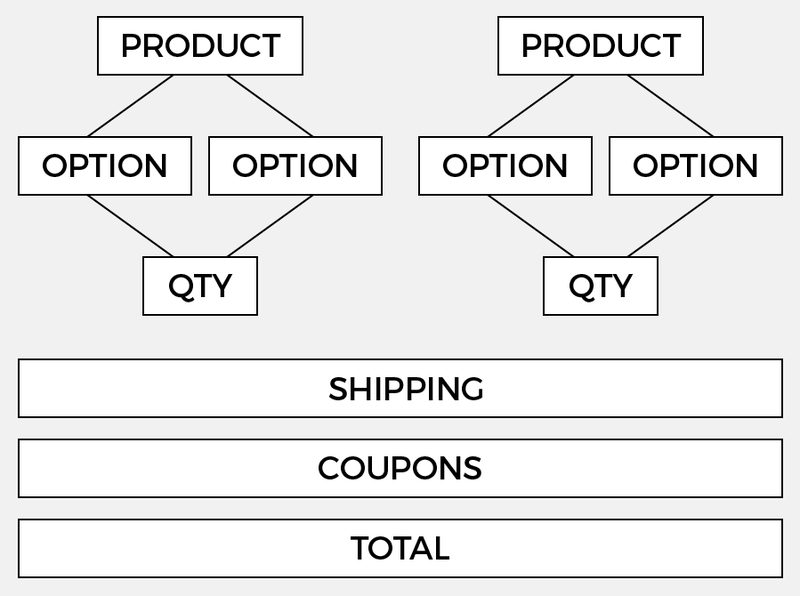 The quantity of any Product field can be linked to a Quantity field which will override the built-in quantity input and/or the default quantity. If you would like to require users to order in specific increments, our rounding by increments with Gravity Forms snippet will help. For example, if you sold lumber in bundles of 100, and the user entered 195, this snippet would automatically round the quantity to 200 (the nearest increment of 100). This snippet also supports setting quantity minimums, maximums and more! This field allows you to associate various options with a Product field. Options can add an additional price to the product or simply indicate a selection tied to the product such as size or color. You can associate as many option fields to a product as needed. The Shipping field comes with three options: Single Method, if there is a simple flat rate for shipping, or Drop Down and Radio Buttons, to allow customers to choose between various shipping options. When combined with the Gravity Forms eCommerce Fields addon, the shipping value is not included in the subtotal, discounts or coupons. The shipping charge is always included in Tax fields and the form total. Should you need it, there is also a method for setting up conditional shipping by the form total. The Gravity Forms Tax Field allows you to add a preconfigured tax to your Gravity Form. The Tax Field supports percentage values only. You can apply the tax to all products, specific products or all products except one(s) selected. You can also add multiple Tax Fields to a form. Here is a sweet How-to article that highlights how to calculate Tax or VAT with Gravity Forms. The Gravity Forms Discount field applies a flat or percentage discount to the total or specific products. You can also use Gravity Forms conditional logic to only apply the discount when certain conditions are met. This How-to article covers everything you need to know on how to apply discounts to your Gravity Form. Just like it sounds, this addons provides support for applying coupon codes to your form total, a very important feature for any eCommerce store. The coupon field does not apply to specific product fields and it can also be used with conditional logic to show or hide other fields based on the coupon code. When combined with the Gravity Forms eCommerce Fields addon, Coupons reduce the amount subject to the Tax and coupons will automatically exclude shipping. 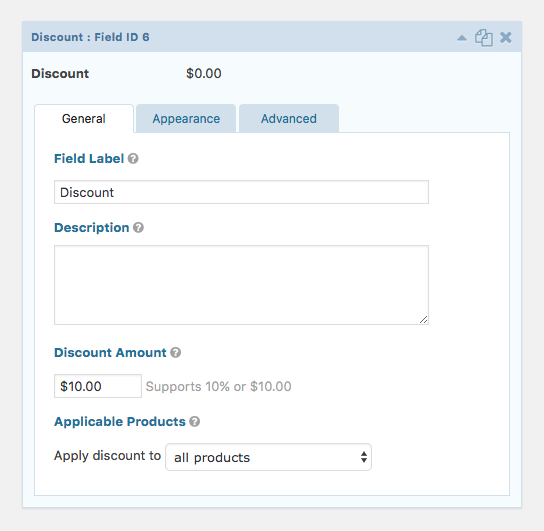 Coupons will also not influence the value of Subtotal or Discount fields. 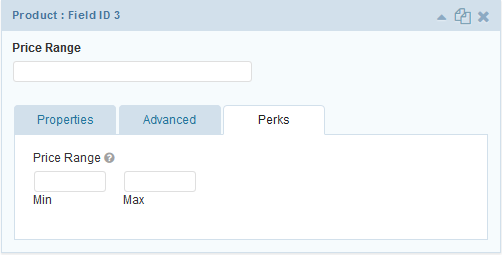 By default, you can create a coupon in the WordPress Admin area. However, suppose you were looking for a way to provide a compelling incentive for visitors to sign up for your newsletter? Why not offer them a coupon code for a small discount at your shop? This article highlights how to create coupons for the Gravity Form Coupons Add-on with Gravity Forms on the front end of your website. The Subtotal field helps your customers better understand their orders by showing them a subtotal before shipping, coupons and taxes have been applied. As the customer selects products and options, the subtotal automatically updates. The Total field allows you to display a form total in your form. As the user selects products and options the total will automatically update. Before we get started, it’s important to note that Gravity Forms Payment Addons are available with the Elite license with the exception of PayPal Payments Standard which is available with the Pro license. Once you add your API Keys in the Gravity Forms General Settings and add a webhook to the respective payment processor account, you will need to setup a feed in the form itself. Also worth noting is the Gravity Forms PayPal One-time Fee addon which extends the PayPal Payments Standard Addon by providing the ability to add a one-time fee to the first payment of a PayPal Standard subscription. Having an issue with incomplete payments when using PayPal Standard? The Gravity Forms Payment Continue addon allows you to resend a PayPal payment URL to folks who abandon the payment. A key feature of any eCommerce solution is an order. Gravity Forms collects all data submitted in the form as an entry and each entry will have an entry ID, however, this number is rather simple and generic. Using the Gravity Forms Unique ID addon we can generate much better order numbers. The Unique ID addon provides a new “Unique ID” field type which generates a unique ID for the entry when submitted. It supports several types of unique IDs including alphanumeric, numeric, and sequential. Gravity Forms Unique ID also opens up other possibilities such as using the generated reference number as a way to validate a purchase and provide access to other Gravity Forms on your website. This article covers how to generate and validate a reference number for Gravity Forms with Gravity Forms Unique ID. It’s always better to get it right the first time. When there is money involved, it’s even more important. 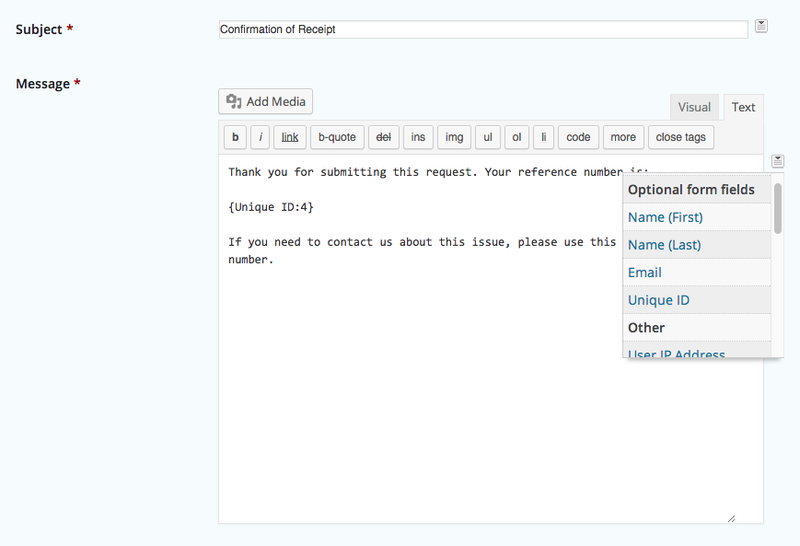 With the Gravity Forms Preview Submission addon, you can generate a good review before purchase. Gravity Forms Preview Submissions is an easy solution to provide an overview of the order and all information that has been collected in the form prior to a customer making the purchase. This can be helpful to both customers and store administrators as errors can be caught before the purchase is made reducing overall administrative time dealing with order related issues. Gravity Forms comes equipped and ready to handle payment confirmations as well as email notifications to both the store owner and customer regarding the purchase. By default, Gravity Forms Confirmations are very useful to either display a simple message to the customer that their order was successful or redirect a customer to another more robust confirmation page. For more specific information on this, check out the Gravity Forms documentation on configuring confirmations and configuring notifications. If you want to take the confirmation page a bit farther, you can use the Gravity Forms Post Content Merge Tags addon which allows you to add Gravity Forms merge tags directly in your WordPress post content. This allows you to use a single confirmation page for multiple forms, better style and layout your confirmation pages, and generate persistent confirmation pages. For a comprehensive guide on this, check out this article on how to create personalized confirmation pages. If you have been in the eCommerce world for any amount of time, you will know the importance of Rush Pricing, Bulk Pricing and Early Bird Pricing. There are solutions to all three of these necessities with Gravity Forms! Would you like to charge a little extra if the user selects a delivery date that is within a certain time frame of the current date or a specific date in the future? Check out how to setup rush pricing with Gravity Forms. Do you need to offer your customers discounted rates when they buy in bulk so that the more they order, the lower the price? 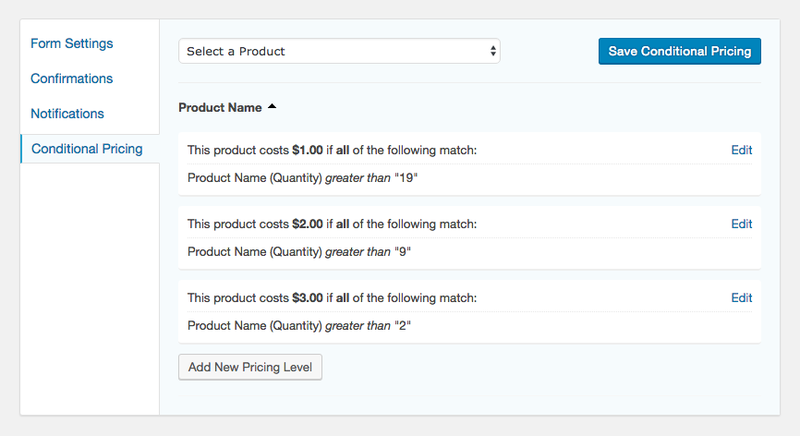 Learn how to setup bulk pricing with Gravity Forms. Do you need a way to calculate how much of a product is being ordered and dynamically set the unit price based on the calculated value. Check out this article on how to setup bulk pricing with calculated unit for Gravity Forms. This is useful for dimension-based calculations like square footage and volume. Are you looking for a way to discount your Gravity Form products if your form is completed before a certain date or specific amount of time before today’s date? This article covers how to setup early bird pricing with Gravity Forms. Combining Gravity Forms Conditional Logic Dates and Gravity Forms eCommerce Fields opens up the possibility for time-sensitive discounts or time-based pricing in general. A CRM (Customer relationship management) is an important aspect of any business and especially an eCommerce business. Once you have a new customer, you know they are interested in your products or services. From that point on, you should do everything you can to improve their experience working with you. While Gravity Forms itself can server a very fundamental CRM, there are many much more robust solutions that integrate with Gravity Forms directly! Check out all of the available CRM integration in the Gravity Forms Directory. While not incredibly robust, there are a number of accounting integrations for Gravity Forms as well. You can review the available accounting integrations in the Gravity Forms Directory. Both the Zapier and Webhooks addons allow for endless 3rd party integrations with Gravity Forms. Zapier is an app that allows you to connect online apps with each other and provides thousands of such connections. This addon is worth mentioning specifically here due to its ability to connect Gravity Forms to many other apps. There are over 100 integrations possible right now between Gravity Forms and other services! View available Gravity Forms zaps here. The Webhooks Gravity Forms addon provides the ability to integrate with many services not covered by Zapier as well as REST API endpoints added by other WordPress plugins. These two addons combined provide almost limitless options for Gravity Forms! Gravity Forms can also be used in conjunction with the Members plugin and the User Registration addon to provide a basic membership site with the ability to restrict content and setup one time payments or even subscription payments for continual access to content. View this article for a full guide on how to setup a basic WordPress membership site with protected content using Gravity Forms. Gravity Wiz has two solid solutions to collect event based payments such as ticket sales or registration and also provides additional solutions for more specific functionality requirements related to this. The two solutions are Gravity Forms Limit Choices and Gravity Forms Better Inventory. Both of these powerful addons provide support for setting up inventory solutions for an event. Which one you go with really just comes down to your specific needs. You can review in depth documentation on both by clicking the buttons below! Do you need the ability to register multiple users then charge them in a single submission? This is possible by combining the power of Gravity Forms Better Inventory with Gravity Forms Nested Forms. Using Gravity Forms Limit Dates, a gravity forms addon that gives you the ability to limit which days are selectable for your Gravity Forms Date Picker fields, you can add support for booking date-based products/services to any form. Using Gravity Forms Pay Per Word, you can easily create product fields which calculate a total based on the number of words in a Paragraph or Post Body field of a Gravity Form. Have you ever needed a way to use a single Gravity Form to handle payment for multiple products across multiple pages? There is a very easy method for this with Gravity Forms. Combining the power of Gravity Forms Merge Tags with WordPress Custom Fields there is a way to dynamically populate the Gravity Form with the appropriate data from any page. Check out this article on Dynamic Products via Post Meta for a breakdown! In this guide we covered everything you need to know to build a Gravity Forms eCommerce solution. From general overview to technical tips to addon and snippet recommendations, there is quite a lot here! Did we miss anything? If so, we definitely want to hear about it! Gravity Forms and Gravity Wiz are always expanding though so we’ll make sure to keep this article up to date on new developments as they arise. If you want to stay updated on the latest news about Gravity Forms eCommerce, Gravity Perks and Gravity Wiz in general, then subscribe to our newsletter right now! 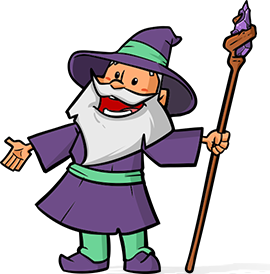 Get the latest Gravity Wiz wizardry by owl or email.